Charles Edward Russell was born in Davenport, Iowa in 1860. After an education at St. Johnsbury Academy in Vermont, Russell joined his father, who was editor of The Davenport Gazette. In 1881 Russell moved to The Minneapolis Journal, and during the next twenty years worked for the Detroit Tribune, the New York World, the New York Herald and the Chicago Examiner. In 1905 Russell wrote an article entitled The Greatest Trust in the World for Everybody's Magazine. The article revealled how the Beef Trust had used its economic position to increase the price of beef. At the same time Russell argued that the development of technology had substantially reduced the cost of producing meat. He followed this with The Uprising of Many (1907) and Lawless Wealth: The Origin of Some Great American Fortunes (1908), a book about the American Tobacco Trust. William Randolph Hearst, the owner of Cosmopolitan also employed Russell. Articles written by Russell for the magazine included two collections: At the Throat of the Republic (December, 1907 - March, 1908) and What Are You Going to Do About It? (July, 1910 - January, 1911). Other articles written by Russell for the magazine included The Growth of Caste in America (March, 1907) and Colarado - New Tricks in an Old Game (December, 1910). Lincoln Steffens recalled in his autobiography: "I recall vividly meeting Charles Edward Russell and asking him what he had got out of it all. He was the most earnest, emotional, and gifted of the muckrakers. There was something of the martyr in him; he had given up better jobs to go forth, rake in hand, to show things up; and he wanted them to be changed. His face looked as if he had suffered from the facts he saw and reported." 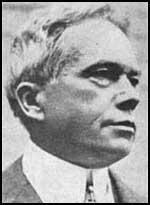 In 1909 Charles Edward Russell joined with several other radicals to form the National Association for the Advancement of Coloured People (NAACP). Other members included Mary White Ovington, William English Walling, Josephine Ruffin, Mary Talbert, Mary Church Terrell, Inez Milholland, Jane Addams, Florence Kelley, Sophonisba Breckinridge, John Haynes Holmes, Mary McLeod Bethune, George Henry White, William Du Bois, John Dewey, William Dean Howells, Lillian Wald, Charles Darrow, Lincoln Steffens, Ray Stannard Baker, Fanny Garrison Villard, Oswald Garrison Villard and Ida Wells-Barnett. Other investigations carried out by Russell included Georgia's prison system (Everybody's Magazine, June, 1908) and how big business controlled the content of newspapers, How Business Controls News in Pearson's Weekly in May, 1914. 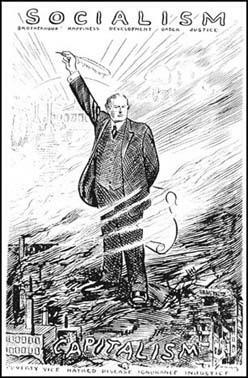 Russell was proud of being a muckraking journalist: "Looking back, it seems to me clear that the muckraking magazine was the greatest single power that ever appeared in this country. The mere mention in one of these magazines of something that was wrong was usually sufficient to bring about at least an ostensible reformation." A member of the American Socialist Party, on two occasions he was unsuccessful in his attempt to be elected as Governor of the State of New York. He explained in his book, Why I Am a Socialist (1910): "This is the offer of Socialism: the righting of the centuries of wrong the producers have suffered, the dawn of a genuine democracy, peace instead of war, sufficiency instead of suffering, life raised above the level of appetite, a chance at last for the good in people to attain their normal development." Benjamin Flower argued in his book, Progressive Men, Women and Movements (1914), that Russell's work could be compared with that of Upton Sinclair and Jack London: "Charles Edward Russell, Upton Sinclair and Jack London are three very popular authors who have become outspoken Socialists and with the pen and voice have contributed materially to the general educational campaign along radical social lines. Russell was for many years, or until he became so uncompromisingly radical in his utterances as to arouse the enmity of the great interests, he was one of the most popular of our magazine writers." Other books by Russell included These Shifting Scenes (1914), Unchained Russia (1918), After the Whirlwind (1919), Bolshevism and the United States (1919), The Outlook for the Philippines (1922), Julia Marlowe: Her Life and Art (1926), the Pulitzer Prize winning, The American Orchestra and Theodore Thomas (1927) and an autobiography, Bare Hands and Stone Walls (1933). Charles Edward Russell died on 23rd April 1941. Charles Edward Russell, Upton Sinclair and Jack London are three very popular authors who have become outspoken Socialists and with the pen and voice have contributed materially to the general educational campaign along radical social lines. Mr. Russell was for many years, or until he became so uncompromisingly radical in his utterances as to arouse the enmity of the great interests, he was one of the most popular of our magazine writers. He travelled around the world, writing a series of admirable articles under the general heading of Soldiers of the Common Good. His expose of the Beef Trust was one of the ablest and most important of the contributions of recent years to the literature of exposure. 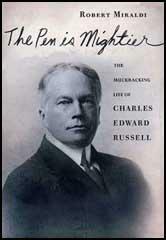 (3) Lincoln Steffens wrote about Charles Edward Russell in his autobiography published in 1931. 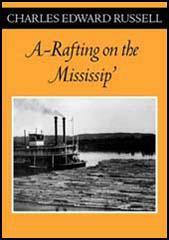 I recall vividly meeting Charles Edward Russell and asking him what he had got out of it all. He was the most earnest, emotional, and gifted of the muckrakers. There was something of the martyr in him; he had given up better jobs to go forth, rake in hand, to show things up; and he wanted them to be changed. His face looked as if he had suffered from the facts he saw and reported. "I couldn't keep it up," he said passionately. "It was too fierce, the conditions, the facts, and what was worse, I couldn't understand them. I'd form a theory, then go out and find that the theory was all wrong. I'd set up another theory, see it blow up, and so think again and again, till I couldn't stand it. I joined the Socialist Party. I had to have something to believe." To show that the perfection of the packer's organization had not meant cheaper food for the public, he quoted statistics too the effect that the value of beef cattle had declined $163,000,000 in the three years ending with January 1, 1905, whereas the retail price of meat had gradually increased. Looking back, it seems to me clear that the muckraking magazine was the greatest single power that ever appeared in this country. The mere mention in one of these magazines of something that was wrong was usually sufficient to bring about at least an ostensible reformation.